I will always be an advocate for the 'never get rid of your clothes.. they will come back into style' saying. I had bought these black wet-look/leather-look jeans from Oasis, probably in 2012 when the likes of leather skinnies and leggings were massive and everybody was wearing them! They had only been worn on one occasion and managed to become lost at the bottom of my ridiculous jeans collection. But over Christmas, they had been re-discovered and I've been loving pairing them with belts and boots. I'm usually the type to avoid Primark at all costs. 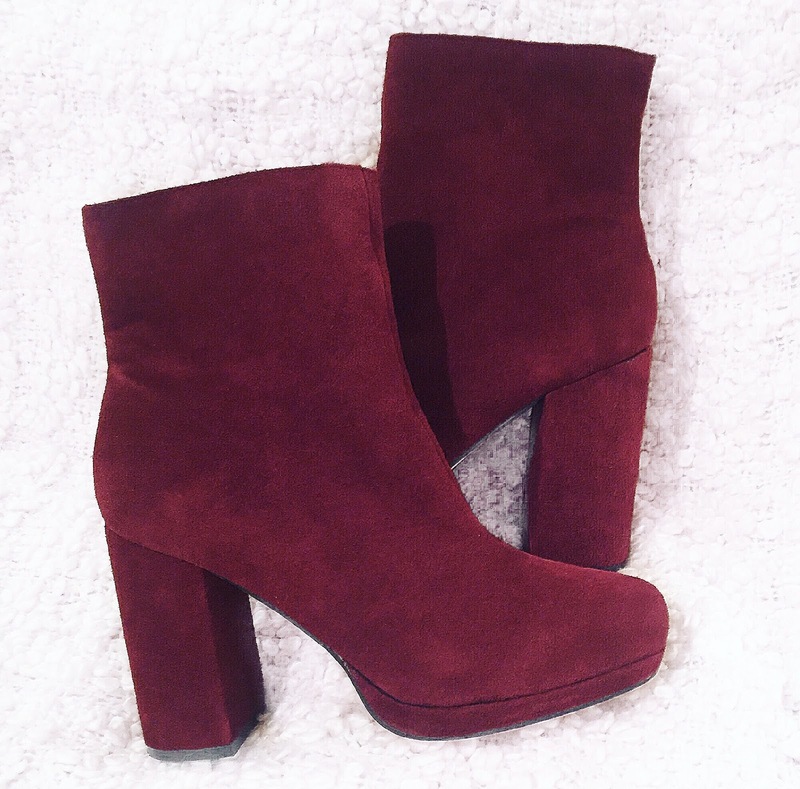 I normally don't have the patience for the queues or when most of the clothes are lying on the floor, but when I found these stunning burgundy boots for £30, the mile-long queue didn't seem so much of an issue anymore. They seem to be the exact boots that had always been missing from my shoe collection and I've gotten so many compliments and questions about them since.. they just look and feel so much more high-end and expensive. I paired these with a New Look strappy vest in a similar burgundy shade, River Island kimono, Topshop statement necklace (as always) and a thick brown belt to add a little extra detail. Let me know what you think of this outfit in the comments below! Have you found any amazing bargains in the January sales recently! ?